Unite has expressed alarm at ongoing bank job losses, most recently this week (April 9) when Barclays announced it would be axing 460 jobs. Barclays informed staff in Coventry Westwood Park and Birmingham Snowhill that their jobs are at risk – totalling 350 jobs at these two large sites in the West Midlands. Further job losses will impact Canary Wharf and Fleet, and smaller numbers of roles at risk in other cities and towns such as Liverpool and Manchester. The announcement from Barclays follows Lloyds Banking Group announcing at the beginning of the year that it would be axing 292 jobs, while Barclays announced in the same month another raft of 300 job losses at its Millshaw site in Leeds. Job losses in finance haven’t only been limited to retail banking either – French investment bank Société Générale announced within hours of Barclays that it would be shedding 1,600 jobs globally, in Paris as well as in New York and in London. Of the most recent Barclays job loss announcement, Unite national officer Dominic Hook called the move “an extremely alarming for the workforce at Barclays. “Unite is very clear that the decision to cut around 460 jobs will result in a large number of compulsory redundancies which will bring a noticeable impact on customer service across Barclays,” he said. Service quality levels at banks have also been hit by a persistent wave of bank branch closures. A recent survey from consumer group Which? last month found more than a third of bank branches in Scotland have closed in the last 8 years – from 1,625 in 2010 to only 1,015 in 2018. Across the UK, 2017 and 2018 saw a large swath of bank branch closures – Britain ended 2018 with only 7,500 bank branches, after 1,800 branches closed, totalling more than a fifth of all branches, since January 2017. Despite the doggedness with which banks have pursued a strategy of branch closures, demand for a local branch still very much persists – in two different surveys asking people the importance of having a local bank branch, about 60 per cent said it was ‘essential’ or ‘very important’, a figure that rose to nearly 70 per cent for small business customers. Bucking the trend of bank branch closures, building society Nationwide announced last month that it would commit to keeping its branches open until at least 2021, using the slogan ‘here today, here tomorrow’. 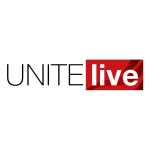 Unite last week highlighted the dangers Brexit could pose to frontline bank workers and their customers at a time of rapid digitisation of banks, coupled with banks having to comply with recent ‘ring-fencing’ legislation which forces them to separate risky investment banking from retail banking. “As we saw after the financial crash, it was ordinary frontline bank workers who paid for the mistakes of the few at the top – tens of thousands of retail banking jobs were slashed after the crash, pensions schemes were closed and branches were shut,” Hook explained. But Hook went on to say that Unite, the biggest union in finance, is committed to protecting members, no matter what Brexit brings now or in the future.